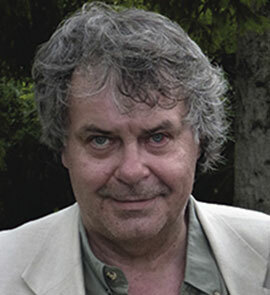 István Borbás, born 1954, Budapest, Hungary. Swedish commercial and feature film cinematographer began his work with Roy Andersson in 1984. During the past 30 years that he has spent at Studio 24 they have created countless commercials and films of different lengths, from 15 seconds to 2 hours. He has also participated in the creation and shaping of books, exhibitions, commercial and billboard campaigns. All of these projects have had the ambition to portray humans joy, sorrows and vulnerability in environments and situations that we can all recognize. Even the most trivial situation, if shown in an exact way (space, light, characters) can achieve to give us very precise description of human existence. Most of these projects have received much attention in Sweden but also internationally. This confirms that it is both possible and important to use images to influence our conditions in life and our view on existence. His most recent work with Roy Andersson, A Pigeon sat on a Branch Reflecting on existence received the golden lion at 2014 Venice film festival. Goran Volarević is a Serbian cinematographer born in 1967 in Belgrade. He studied film and television cinematography at the Faculty of Dramatic Arts in his hometown. Upon graduation he worked as first assistant and camera operator for Milorad Glušica who was the head of the department at which he studied. The first feature film he made as the director of photography was Srdjan Koljevic’s The Red Colored Grey Truck (2004). At the Herceg Novi Film Festival, he was awarded the Golden Mimosa for Best Cinematography. For his 2007 movie, The Fourth Man, he received an award from the Yugoslav section of the International Federation of Film Critics (FIPRESCI). 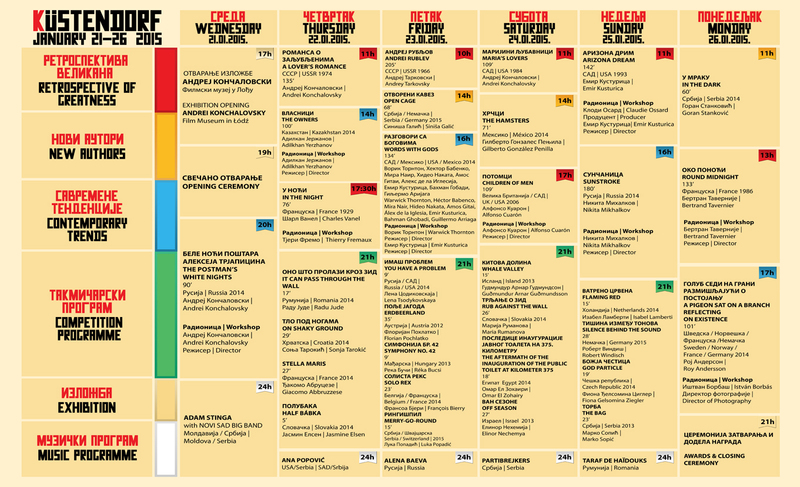 The same movie was shown the the Manaki Brothers International Cinematographers’ Film Festival in Bitola. He began filming the TV drama series The Storks Will Return in 2007, a show that has gained vast popularity and acclaim from critics in Serbia and the region. In 2007, Volarevic filmed The Woman With a Broken Nose, which gained great recognition at European film festivals. In 2010, he made the period piece Montevideo, God Bless You!, which portrays the Yugoslav football team’s participation at the first World Cup in Uruguay. The Man Who Defended Gavrilo Princip (2014), directed by Srđan Koljević, is his latest movie. 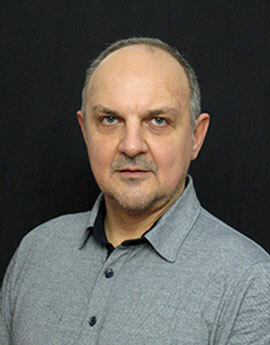 In addition to feature films, Goran Volarević filmed a large number of commercials, documentaries, and TV movies.